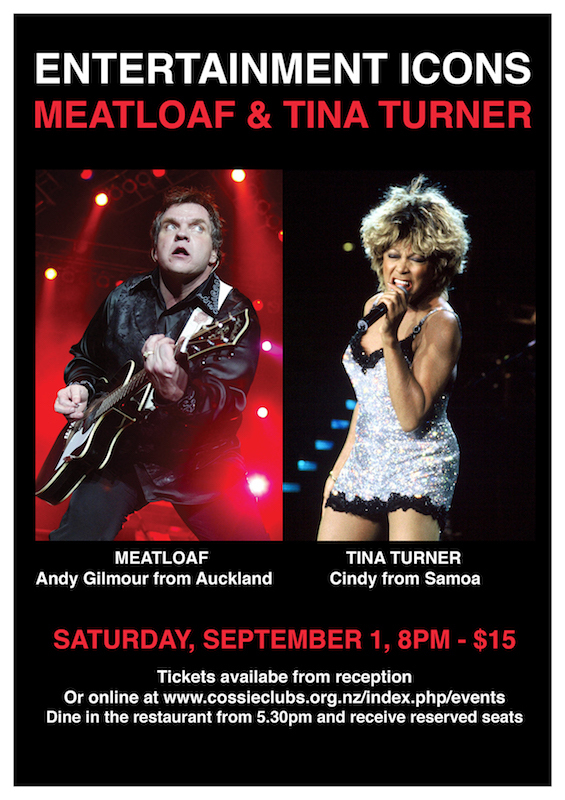 Entertainment Icons Meatloaf (Andy Gilmour from Auckland) and Tina Turner (Cindy from Samoa) in a double tribute show! Tickets $15. Dine in the restaurant from 5.30pm and receive reserved seats!